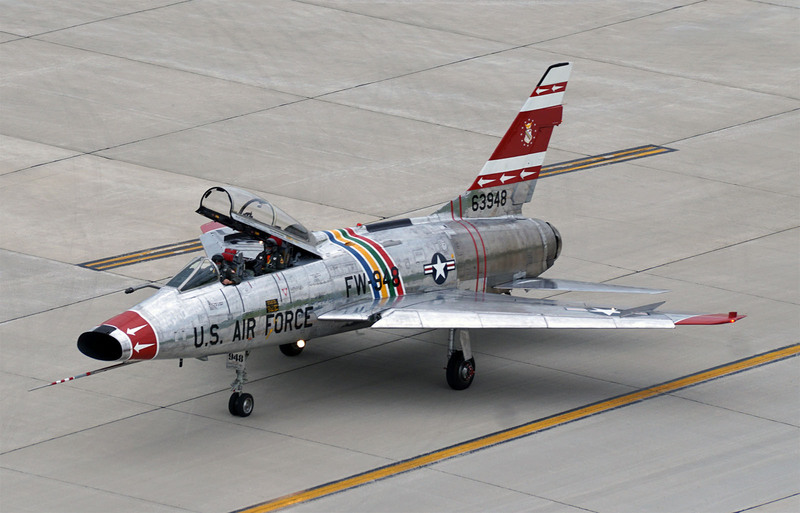 You've just landed on the most comprehensive photo history and reference site on the internet for the North American F-100 Super Sabre. Welcome! Explore the 1,900+ photos from around the world that chronicle the developmental and operational history that this cold warrior and her crews undertook with the world's first operational supersonic fighter. If you have any photos or data you would like to contribute, please contact the webmaster, Michael Benolkin (mike@f-100.org). All comments and suggestions are welcome!